Students attending this course must have taken an Asbestos Abatement Contractor/Supervisor Initial Training certificate or Asbestos Abatement Contractor/Supervisor Refresher course within the last two years. A copy of the expired or expiring certificate must be presented prior to the start of the course. 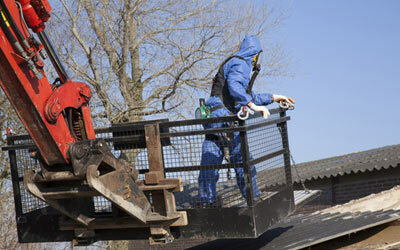 This course fulfills the annual training requirement for reaccreditation as an Asbestos AbatementContractor/Supervisor. Individuals seeking reaccreditation to continue supervising asbestos inspections or designing or conducting response actions at schools and public and commercial buildings. This course will refresh the individual’s knowledge of the materials that were covered in the initial 40 hours of training such as how to properly provide supervision and direction to workers engaged in asbestos abatement activities and/or individuals who operate in abatement business. It will also cover any revised or updated information. Students are required to complete 100% of the course and actively participate in all learning activities including hands on demonstration.Upon completion of the Asbestos Abatement Contractor/Supervisor Refresher Training, attendees will receive a certificate of completion from TSCTA. Read TSCTA’s full attendance and make-up time policies here.